Is there a correlation between pyromania and arachnophobia? Last year in Bridgend, South Wales, a woman accidentally set her house on fire after trying to kill a spider by spraying aerosol and igniting it with fire. In the aftermath, the local fire service urged the public to stick to more conventional methods of spider-killing. (Via The Daily Mail). The fire pump spider guy is not the only one who could have used a crash course in vehicular fire safety. Last month in Manchester, New Hampshire a man tried to stop his illegally parked car from being towed. . . by setting it on fire. No one was hurt, but the man was arrested for arson. And the car was most likely still impounded. Mission not accomplished. (Via KS1075.com). Human ignorance seems to know no bounds. So proves an incident reported just last week in Clay County, Missouri, where a man was burning garbage in his field, and then drove over the fire repeatedly after allowing the fire to get out of control. Unfortunately, the tires of his van caught fire. Even more unfortunately, he also then remembered that the van was loaded with firearms, ammunition and a full tank of gas. Incredibly, no one was hurt. (Via KansasCity.com). 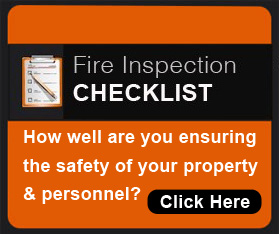 Smoking materials are a leading cause of fire deaths. Perhaps that’s why California resident Chessie Lewis was trying to stop smoking. While she was at a meeting to help her quit smoking on January 27, 2009, her mobile home was destroyed in a fire caused by a burning cigarette she had accidentally left on the porch. It did $200K in damage. (In the book, “Stupid California: Idiots in the Golden State”). In January of 2014, a Dora, Alabama family lost their home to a fire after trying to clean up toilet paper that neighborhood kids had thrown on their yard and house. When trying to get the last stubborn bits of paper out of her magnolia tree, the homeowner decided to light the toilet paper. The wind then blew the fire across the yard, and it spread from there, destroying the entire house. Thankfully, everyone was able to get out safely. (Via WBRC.com). Remember the ice bucket challenge trend? Even the local Toronto Fire Department got in on it. Dubbed "the Dumbest Man in the World" by E Online, a man purposely set his hair on fire so he could put it out with a bucket full of ice. You know, to take the ice bucket challenge up a notch. Unfortunately, the bucket of ice didn’t extinguish the fire. It’s unclear if the man was injured, but his hair definitely was. Forbes covers several stories of “rich people fires” in this post. My favorite is the one about the man who attempted to dry the rear floor mat of his Porsche with a leaf-blower. He just left it on the seat, aimed at the floor, still blowing away. He would check it periodically. Eventually, he heard a noise and went to investigate. That’s when he discovered he had set both the rear passenger mat and the seat on fire. Whoops! 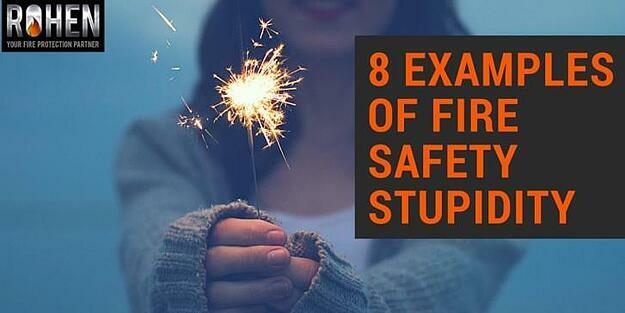 Which of these stories of fire safety stupidity takes the cake? I couldn’t decide. If you know of other similar stories, please share them in the comments! And whatever you do, don't try any of these antics yourself. You may also appreciate these 10 Funny Videos About Fire Safety Compliance.